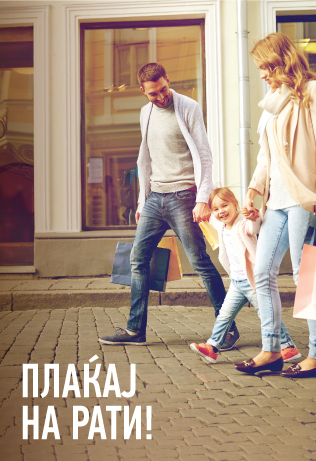 Halk Bank AD Skopje is a bank that shows great interest and support of sport in the country once again contributing to the development of sport and healthy habits, especially among young generations. The support of an event like the Handball Camp “Kiril Lazarov 7”, which ended on 30th of June 2016, is another successful project for the development and encouragement of sport and sport talents in the country, behind which proudly stands Halk Bank AD Skopje as contributor-partner of the event. The best Macedonian sportsperson, Kiril Lazarov, second time this year, under organization of KMG Sport agency promoted his handball camp “ Kiril Lazarov 7”. The camp took place in Hotel “Aqualina” in Ohrid , in two shifts starting from 17th-23rd and 24th-30th of June with participants from Macedonia, but also from nine other countries like: Bosnia and Herzegovina, Serbia, France, Sweden, Island, Denmark, Slovenia, Montenegro and Romania. “It is our exceptional pleasure to be part of such project headed by one of the greatest sportsman of the country, Kiril Lazarov, where apart from the selection of young and promising players, profound attention was paid to the improvement in the field of sport, education for healthy diet and sportsmanship”, stated Halk Bank. Despite the financial support of the camp, Halk Bank gave symbolic gifts to the children – participants who celebrated their birthday during the camp time – children’s saving accounts with initial deposit in order to stimulate children’s savings. This presents another very important socially responsible effort and the support of institutions and partners like Halk Bank is particularly significant for their implementation.